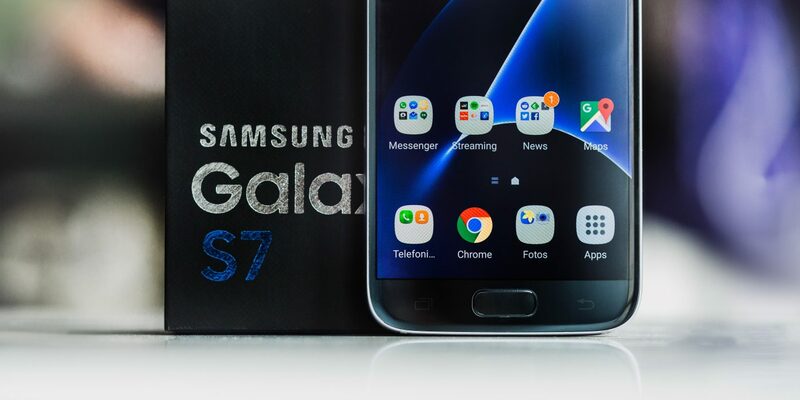 It’s already been two years since the Samsung Galaxy S7 was introduced, but it’s still one more than decent smartphone, able to deal with tons of tasks. Also, let’s not forget about the non-removable 3000mAh Li-Ion battery pack, which can help you get through a full day of intensive use. On the other side, there are a lot of users who, no matter how big the battery of their phone is, still need to charge it a few times a day. 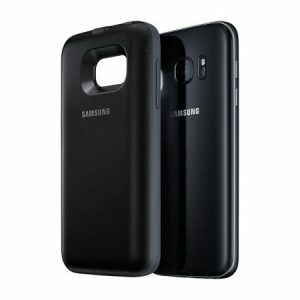 If you’re among them and use an S7, we have a recommendation for you: get a Samsung Galaxy S7 battery case. The major advantage of an accessory like this is that you don’t need to look after it all the time, like with an external battery, since it’s basically wrapped around your phone. Besides this, it adds extra protection to your phone, keeping it safe in the eventuality of a drop. Obviously, we’re going to start with an OEM model. As you can see, it’s far from being a slim model, so expect some substantial extra girth to your phone, but it’s very easy to put on and remove, which makes it ideal for keeping it in your bag all the time or, why not, even on the phone. Don’t expect some great protection in case of a drop though, since it’s actually a charging pack and not a case. But it keeps scratches away from the back of the phone! Performance-wise, it relies on Qi wireless charging, which is excellent, as the microUSB port remains clear. Still, the charging speeds as slower, as you will get around 50% of battery life in around 2 hours. A bit disappointing, we’d say, but the case comes for a very low price, so, overall, it’s a great deal. 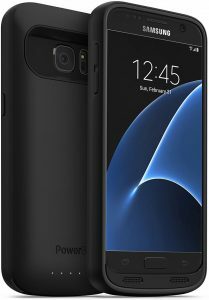 If you want a Samsung Galaxy S7 battery case offering both protection and some insane charging abilities, then this is the one you need. 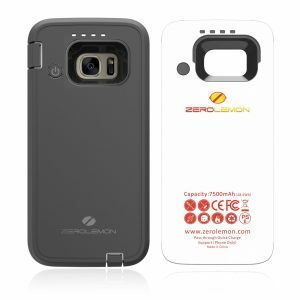 The ZeroLemon Rugged Battery Case is actually the world’s highest capacity for the handset, with 7500mAh worth of additional power. This is actually 2.5 times more battery than the phone’s original one! It’s a three-piece model which, once installed, it can keep your phone safe in the eventuality of a drop. Also, we should mention the power level indicators and the charging button, located on the back, as well as the support for QuickCharge 2.0. In a nutshell, if you’re ok with carrying a seriously heavy phone in your pocket, this case is definitely worth the money. 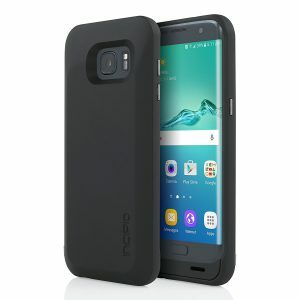 We know, the previous entry in our top is far from being a very easy to carry Samsung Galaxy S7 battery case. And this can be a real minus, despite packing a lot of additional power. However, we have something else for you guys! A bit costly, but looking great wrapped around your phone, the Mophie Juice pack can be the best choice you can make. A bit of testing reveals that it adds 60% to the Galaxy S7’s battery in around one hour and 20 minutes, which is hard to ignore. Despite being smaller than the ZeroLemon case, the case has an amount of bulkiness. Still, we can’t ignore the smooth and sturdy design, as well as the tactile feedback provided by the covered power and volume buttons. 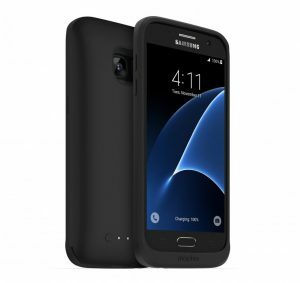 A great variant for those looking for a slim, yet potent Samsung Galaxy S7 battery case is the Incipio OffGRID Wireless Battery Case. It offers an increased amount of protection for the phone, as well as enough power to refill your phone’s battery at least once. And it doesn’t take that long to recharge it, thanks to the QuickCharge 2.0 support. There are four LED lights just at the bottom of the case, showing exactly how much power it’s left in the batter, while overall, the case wraps around nicely around the phone, giving it an elegant look, despite the bulky profile. A really cool feature of this battery case is the pass-through technology. When there’s no more juice left in it and it needs recharging, it will recharge the phone first, then the case. And this totally makes sense, if you ask us! 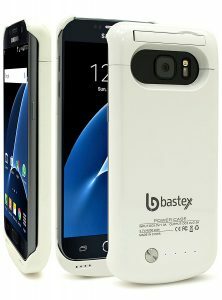 A bit more affordable than the other models on this list, the Bastex Protective Shell provides edge-to-edge protection to the phone, keeping it safe from scratches and even light damage. Don’t rely on this though, since a more serious drop can crack up your phone, even with the case on. The 4200mAh cell offers up to 110% extra battery life and it really comes in handy in extreme situations. You can check out how much juice there’s left in it by the way, by simply pressing the button on the back of the case. As a bonus, you get a kickstand, which is great for those who like to watch movies on their phones. You can get it in three different variants: Black, White, or Gold. Unfortunately, it doesn’t support wireless charging, but considering the price tag, this shouldn’t be such a big problem. 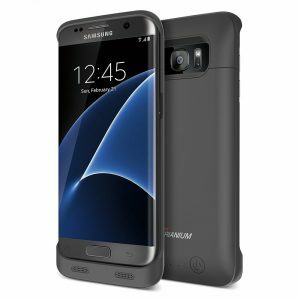 Ok, let’s see another Samsung Galaxy S7 battery case which won’t make your phone feel like a brick in your pocket. 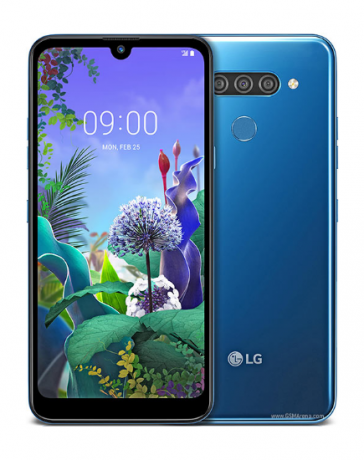 Yes, it doesn’t have support for wireless charging, but with a capacity of 5000mAh, you can forget about charging your phone for at least two days. The case leaves the edges of the screen exposed and provides quick access to the phone’s ports and camera. On the back we can see the standard power button, as well as the usual LEDs, so you can check the remaining amount of power. Bonus points for the soft rubber finish, which makes the phone very comfortable to hold. As for the minuses, besides the lack of wireless charging, is the fact that the bottom section is very chunky, so you can’t insert the headphone jack without an extender. But hey, you’re getting one in the pack. Also, don’t rely on this battery case for drop protection, since the device is pretty exposed. The case is dual charging compatible, allowing you to charge both the smartphone and the battery pack at the same time. It also offers protection from over-heating, short-circuiting, overcharging or over discharging. And it should last enough in time, as the case was designed to last over 5000 repeated battery charge cycles. Which battery case would you choose for your Samsung Galaxy S7? Let us know, by dropping a few lines in the comments section below!